Fry bacon until crisp, remove, drain and slice into small pieces. Chop or shred cabbage finely. Heat pan drippings, add cabbage and bacon with more oil (vegetable) as needed. 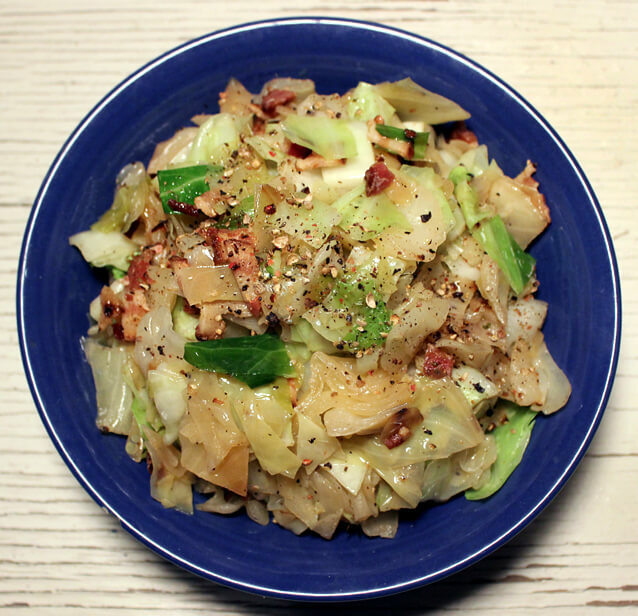 Stir vigorously until cabbage is coated and just tender. Add hot pepper vinegar or hot sauce, ground black pepper and salt to taste. Finely sliced sweet onions–cooked or raw–are always a welcome option.